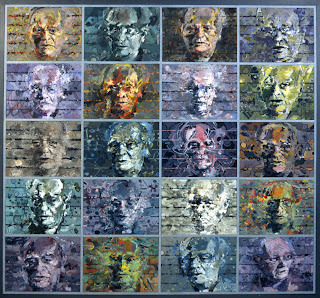 For any who might have listened to Iain Burnside's Radio 3 programme on Sunday 24th February here is the portrait (Vingt Regards) that I did of Olivier Messiaen for the French National Collection. This was the subject of my long rambling anecdote. Ramble on! I greatly enjoyed your slot (especially the Bresson impressions), and thanks for this picture. I agree. The programme is very interesting and I'm glad you posted the Messiaen portrait. Iain Burnside will no doubt pronounce it 'awesome'.